The latest application, drawn up by Malcolm Scott Consultants, explains: "The application was withdrawn following concerns expressed by the case officer regarding the height of the two storey proposed development and its location in the Green Belt. The planning and conservation Officer also raised a concern regarding the height of the proposed development and its impact upon the wider setting of the Grade II* Listed Historic Park and Garden. "The Highway Authority also required additional information regarding the adequacy of the existing car parking capacity to meet the increase demand should the development be approved." The proposals have been amended so that the two storey high building has been reduced to a single storey. Updated information on the car parking and increased traffic has also been included. 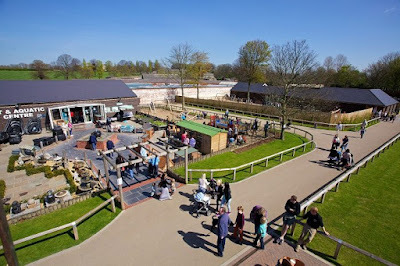 The garden centre, leisure areas and nursery employs 132 full and part time staff (plus casual staff) and the plans explain the need for expansion with office, staff and catering facilities all outgrown. 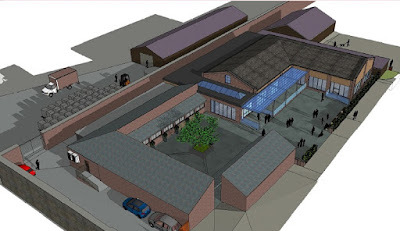 The plans add that the existing customer catering facility is now overcrowded, the kitchen facilities are working beyond their design capacity and the customer toilet facilities are inadequate. A revised development scheme is for 9,600 sq ft of space split into three buildings. It involves replacing the existing conservatory display area and replacing it with high quality structures. The design will create a courtyard which links to the existing courtyard. Along with new kitchens and staff offices, there is also set to be a small retail area, a food hall and a new coffee shop to relieve pressure on the existing Walled Garden Coffee Shop. With the growth of the business, the garden centre is looking to employ a further 15 full time staff and 20 part time (plus casual staff). Developed in the late 18th century as the pleasure grounds and kitchen garden by the Fitzwilliams of Wentworth Woodhouse, from 1750 until 1786, the gardens were formally reorganised into a kitchen garden. Created under the supervision of renowned York architect John Carr, the kitchen gardens' principal role was to provide an abundance of fresh fruit, herbs, vegetables and cut flowers for the house throughout the year. Foundations for the 12 foot high perimeter walls were begun with the North and South facing walls being designated "hot" walls (they once contained an ingenious system of heated flues). Glasshouses erected against these walls would have supplied the finest and most delicate fruits such as peaches, melons, grapes, pineapples and apricots, a major challenge for gardeners of the day. Inevitably, much of the cultivated area fell into disrepair after the Second World War, until the creation of the garden centre in 1976. The gardens, which include a rock garden created within and around an old stone quarry in about 1868, were recently accepted into the RHS Partner Gardens scheme.